Sean Adams grew up in Southern California and graduated from the California Culinary Academy in 1996. He was the Executive Chef for Wyndham Hotels, then moved on to own and operate his catering company. When Sean realized the bagel business could use a real go-getter, he jumped at the chance. Learning how to hand roll bagels in the bagel capital of the world, New York City, was just the start. His school training and experience in New York led to the recipes that make Naval Bagels so special. 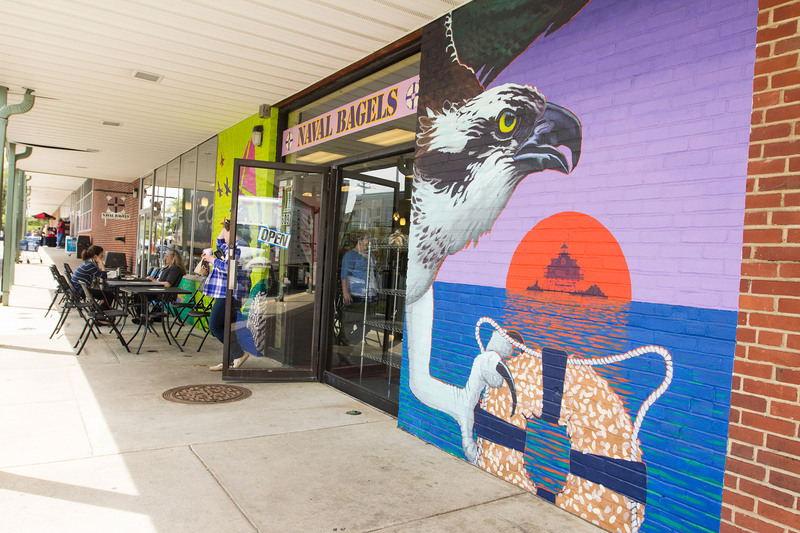 Naval Bagels has earned “Best Bagel” from What’s Up? Magazine and has earned “Best Bagel” from the Capital Gazette Newspaper for the first four years the award was given. We continue to strive everyday to put out the best bagel in town for our customers. It is more than just bagels. Naval Bagels believes in giving back to the community. We sponsor many charity events, including, local school auctions, cancer benefits, and local running races. Naval Bagels is also a proud sponsor of Naval Academy Athletics and the hometown champion, Chesapeake Bayhawks. Sean’s laid back California upbringing allows him to run a fun operation with a great atmosphere. Although laid back, it is highly efficient. You can get in and out of Naval Bagels in 3 minutes flat. There is always a great group of characters, new and regulars, coming to see us. Don’t forget to check out the white board for inspirational quotes, trivia, birthdays, tides and artwork. We also make sure the local newspapers hanging on the wall for your daily news fix with your morning bagel. 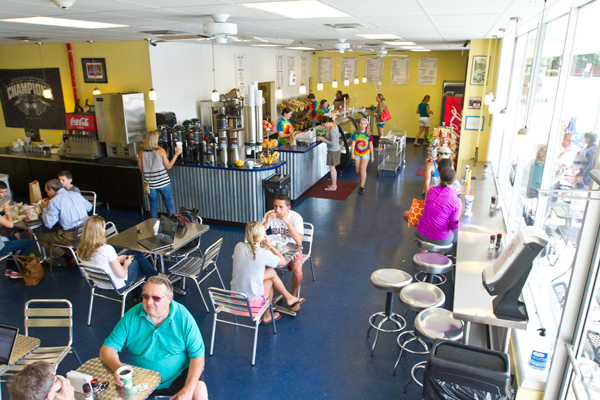 In November 2013, Naval Bagel expanded from 900 sq. ft. to 2,700 sq. ft. The expansion gave us a much-needed space in order for us to grow our business, including wholesale catering and online order to better accommodate our growing corporate customers. Don’t be fooled by anything less. We are the one and only Naval Bagels, proudly serving the best bagel in town.